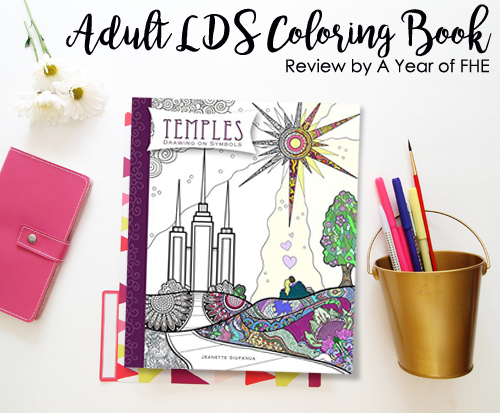 A Year of FHE: LDS BOOK REVIEW // "Temples: Drawing on Symbols" Adult Coloring Book + FREE coloring page! LDS BOOK REVIEW // "Temples: Drawing on Symbols" Adult Coloring Book + FREE coloring page! Late last year I got a copy of Temples: Drawing on Symbols. I find it actually easier to pay attention and hear the lessons in church when I have a task, like coloring, to keep my mind just occupied enough that I can hear the lesson. Otherwise I find myself composing grocery lists without realizing it! Temples: Drawing on Symbols is more than a coloring book. It is an invitation to see the beautiful art of LDS Temples with new eyes. Everything in the Temple points to Christ. 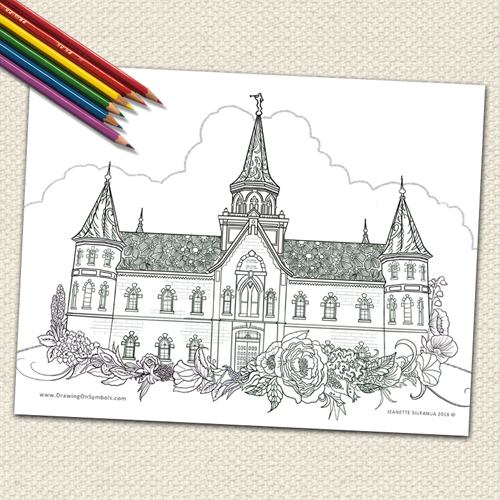 This coloring book combines scripture with the symbolism that surrounds temples. With the help of a "what to look for in this book" page (index), you can discover even more at your own pace. Doesn't it look amazing?! And if you're not sure that Adult coloring pages are your thing, the authors of are offering a free coloring page that you can download and try out! This is a really beautiful and meaningful book! I love having it in my church bag for week's when I am feeling a bit distracted and can't focus on the lessons being taught! And you get to learn some new things you never knew before about the many beautiful symbols within LDS Temples. This would also be such a great gift, wrapped up with a beautiful bow and with some high quality colored pencils!